George "Speedy" Arnold is a lifelong resident of Keeseville, New York. He has been drawing and painting most of his life. However, in the last twenty-five years, it is rare to see him without a sketchbook in hand. Almost all of his sketches are done in his spare time between his three "real" jobs: owner and operator of Arnold's Grocery, AuSable Valley school bus driver, and Town of AuSable assessor. He has illustrated several children's books, including The Little Brook in the Field , authored by North Country musician Jim Goff, and The Adventures of Molly the Monarch Butterfly and Friends , written by Maureen Akey. 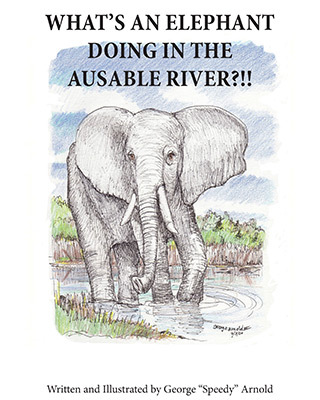 In 2012 , he wrote and illustrated his own children's book, What's an Elephant Doing in the AuSable River?!! . Speedy is also a musician, performing solo at local farmers' markets, libraries, and schools, and plays the role of Julnissar at Santa's Workshop's annual Yuletide Family Weekends in Wilmington, New York. 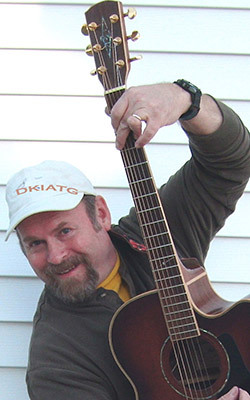 He has been a member of the bluegrass bands Mardi Gras, The Wolverine Brothers, and Three Doug Knight, and has a number of CDs and YouTube videos as well. Speedy's books, music, and artwork are on display at his business, Arnold's Grocery, on Route 9N in Keeseville, New York. 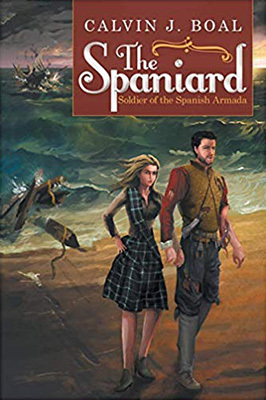 Mark L. Barie is a native of Champlain, New York, and a graduate of St. Michael's College in Vermont (Master's Degree in Business). 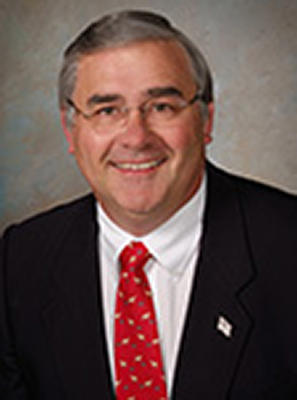 He is best known for his civic, business, and political activities which span all 33 years of his career as the founder and president of several North Country firms. Upon his retirement, Barie decided to try his hand at writing. 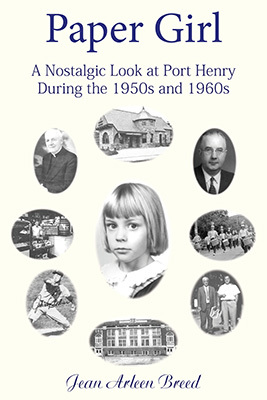 The author has several books to his credit, including: A Miracle Comes to Vermont , the biography of a Catholic priest in Alburgh, Vermont; Crossing the Line , a collaborative effort with his wife Christine Racine, which details the history of the border at Rouses Point and Champlain; The President of Plattsburgh: The Story of Smith Weed , the first-ever biography of Smith Weed, a prominent 19th-century lawyer, business tycoon, politician, and philanthropist from Plattsburgh, New York; and The Boat People of Champlain , another collaborative effort with his wife and the heretofore untold story of the boat-building industry that existed in the village of Champlain long ago. 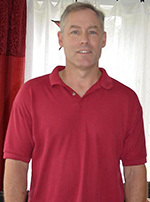 Mark will soon release his first novel, War Calls, Love Cries , a story about an innocent farm boy from Keeseville, New York, whose plans for law school and marriage to his sweetheart are ruined by a treacherous brother and the American Civil War. 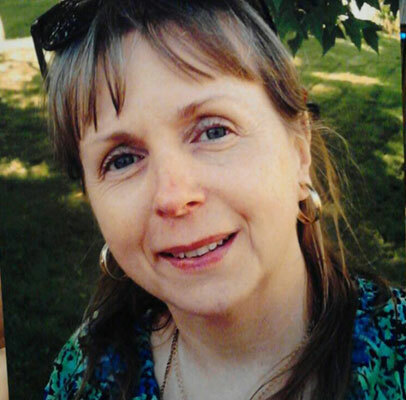 A native of Niagara Falls, New York, Kathy is a retired Tech Sergeant with the USAF/VT Air National Guard, and a member of the Military Writers Society of America. She is a staff writer for the American Military Retirees Association (AMRA), and serves as president of AMRA's New York Department. 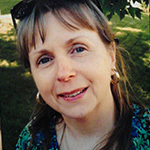 Kathy is also a member of the Adirondack Center for Writing (Paul Smiths), and writes a column, Jabberwocky, for the Lake Champlain Weekly . 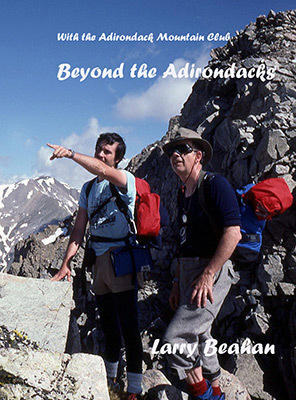 Five generations of the Beahan family have been in the Adirondacks, one way or another. In 1902, three Beahan brothers, Tom, John and Barty, Tom's wife, Minnie, and John's wife, Liva, began the epic with a logging job near Star Lake on the Little River. Children from the camp worked some in the woods and returned to hunt and fish. Larry Beahan, a grandson, grew up a city kid in Buffalo. On trips to visit his Gramma and Grampa in Carthage at the edge of the Adirondacks, he tasted the flavor of the woods but didn't catch the significance of it until his forties. Kerosene lamps, double-bitted axes, two-man-crosscut saws, grindstone, wooden vice for carving axe handles, the wood cookstove and water from a pump were just the way things were at Gramma's. 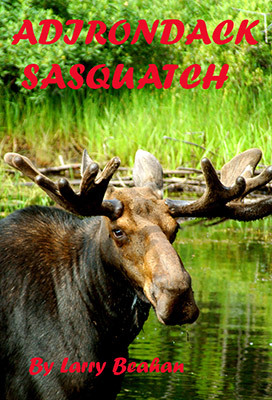 Then he began exploring the Adirondacks, climbing mountains, skiing, canoeing, camping and digging into family lore. He, his sons and grandchildren have explored the site of the family lumber camp, where Larry's dad was born, nearby Five Ponds Wilderness, Cranberry Lake Wild Forest, Stillwater and a good bit more of the Adirondacks. 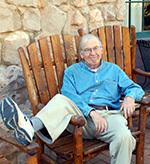 His stories will take you to there and span the century, 1900 to 2000. 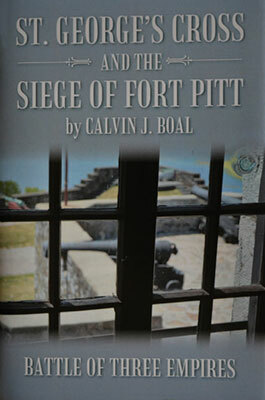 Calvin Boal was raised in upstate New York and currently lives in the Cobleskill, New York, area. He worked for over twenty-seven years in law enforcement. He has shown a great interest in history, particularly in American history and the French and Indian War and the American Revolution. 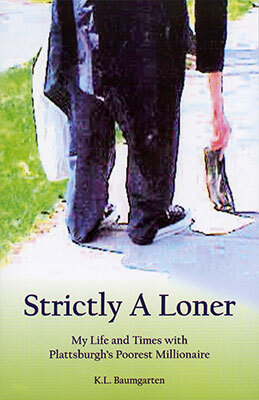 He has written two books as a result of his interest in the Colonial period. 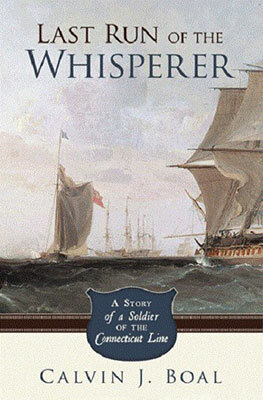 Last Run of the Whisperer was written after extensive genealogical work on his family history, and is an historical/fiction story about a soldier in the American Revolution. 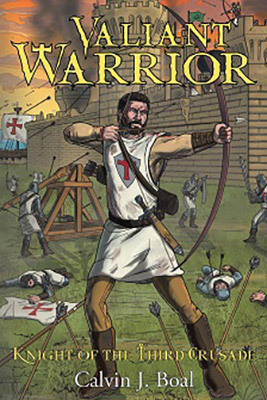 St. George's Cross and the Siege of Fort Pitt is an historical/fiction story about a young man who becomes involved in the French and Indian War/Pontiac's Rebellion and was written after living in western Pennsylvania for a number of years, near the Forbes Road. 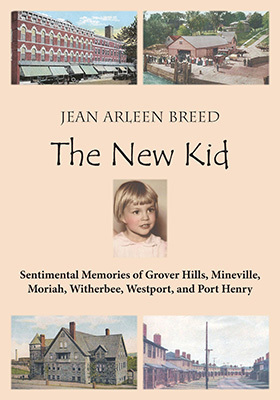 A lifelong resident of the Champlain Valley in New York, Jean Breed worked in Vermont for thirty years. During those three decades, she drove over the Lake Champlain Bridge (Crown Point, New York) more than fourteen thousand times! 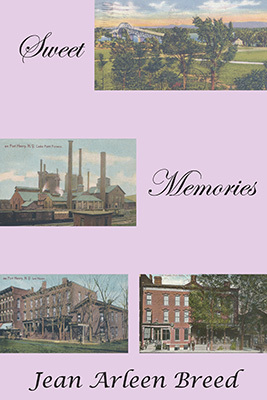 New York Congresswoman Teresa Sayward and Vermont Representative Diane Lanpher told Jean that her poems and Letters to the Editor were part of the history of the valley from the time they lost their bridge and they should be saved for posterity. 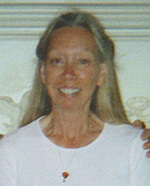 This is part of the reason Jean wrote her first book, The Loss of the Lake Champlain Bridge: A Traveler's Story ( 2011 ). Lake Champlain Bridge Coalition Co-Chair Lorraine Franklin asked Jean to write a special poem to be read at the dedication of the new bridge. Jean read "The Journey"—the last poem in her first book—at the opening ceremony for the new bridge.